Simply put it is comfort food at its best. Sate Khas Senayan has been serving variety of Indonesia’s palatable dishes for years now and been gaining more popularity ever since. Pictured here is savory Oxtail Soup and warm decadent Wedang Ronde. 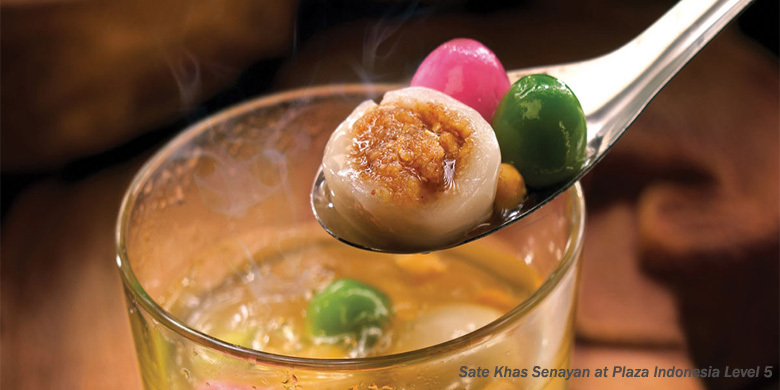 Drop by to Sate Khas Senayan at Plaza Indonesia Level 5 to taste the delectable dishes for yourself. 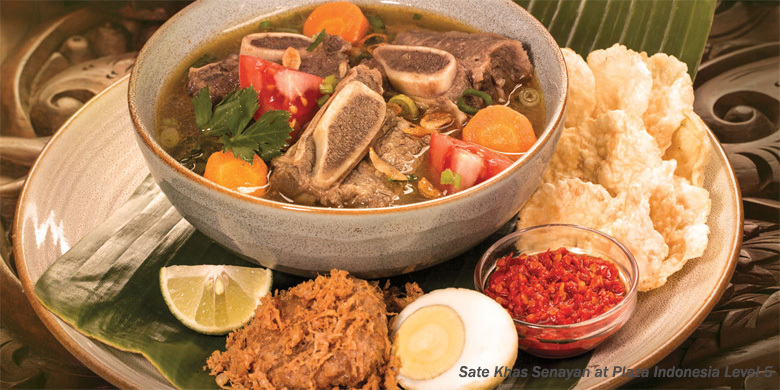 Image courtesy of Sate Khas Senayan. Celebrate Indonesia’s Independence month with a good get-together with your friends and we can’t think of a more memorable experience than ‘Liwetan’. Rich with spices and condiments, Nasi Liwet is composed of succulent rice dish cooked in coconut milk, chicken broth and spices. 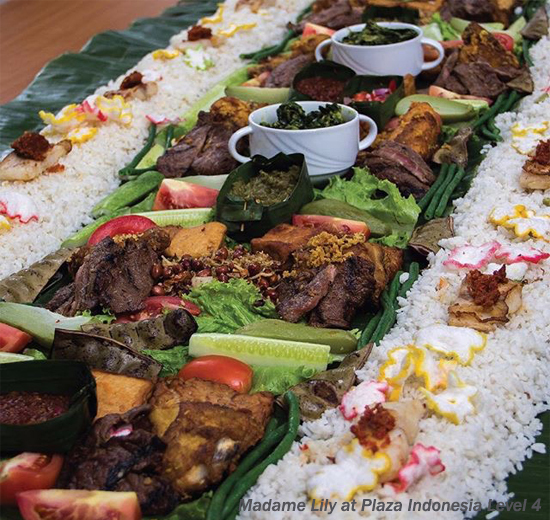 The highlight of the menu however is getting ti experience the salivating spread on a never-ending banana leaf, everyone is welcomed to dig in anywhere along the way! MDL at Plaza Indonesia Level 5. Image courtesy of MDL.